The ancient Egyptians are said to be the first to use dermabrasion skin care techniques to improve their skin. Kings and queens used alabaster and pumice to remove blemishes and rough spots and make their skin smooth and soft. In the mid-90's a skin care technique using aluminum oxide powder for microdermabrasion was developed in Italy. The process uses vacuum and a small orifice to accelerate the powder. Aluminum oxide abrades the skin and the vacuum cleans out blocked pores. Microdermabrasion has been developed as a less aggressive treatment and is often performed on people that can not afford the recovery period required from full dermabrasion procedures. Microdermabrasion is often referred to as the "lunch time face lift" because of the tightening and smoothing of the facial skin. Our office uses NewApeel™ Aesthetic Exfoliation system with DiamondTome™ Wands. The NewApeel™ Aesthetic Exfoliation system with DiamondTome™ Wands is an evolution in microdermabrasion. No more crystals - no more particles! It is safe, clean, precise and effective. NewApeel™ offers a twenty-first century skin care technology for applying the millennia old technique of dermabrasion. By eliminating the powders and crystals (aluminum oxide and salt) NewApeel™ has made skin rejuvenation the clean, controlled procedure it should be. Now diamonds can help your skin shine through with your natural beauty. Explore our site and learn more! Diamond microdermabrasion is a real gem ! How much does microdermabrasion treatment cost? What are the differences between crystal and crystal free Microdermabrasion? SAFE. No loose crystals or other abrasives that contaminate you or your environment. Even at its highest settings, NewApeel™ is regarded as a gentler MicroExfoliation system yet providing more dramatic results than other skin care systems. Can treat close to the eyes. No need to remove contacts. 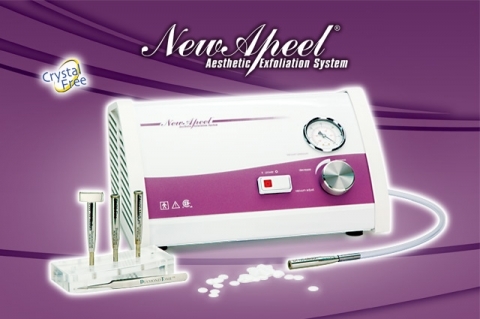 Due to the advanced design of NewApeel™ machine, we can actually show you exactly how much skin was removed during your treatment, offering you tangible "proof" of the success of the treatment. When to use and what can be treated by Microdermabrasion ? When NOT to use microdermabrasion? Viral Lesions, Herpes simplex (active), et al. Is microdermabrasion appropriate for anyone? Almost anyone can benefit from microdermabrasion, but patients who are taking certain medications or who have inflammatory skin conditions may need to postpone treatment. Microdermabrasion is effective on all skin colors and types. How does treatment help my skin? Microdermabrasion serves as an extremely efficient pre-treatment to penetrate products. As it has been established, microdermabrasion exfoliates several microns of skin per pass, so this makes the skin more receptive to whatever is placed on it next. Aqueous-based ampoules and serums are easily penetrated and offer great protection against dehydration along with creams and hydrating masks. Some of the key ingredients to look for in products that will enhance your treatments are: hyaluronic acid, alpha lipoic acid, beta carotene, green tea polyphenols, ascorbyl palmitate, azulene extract, calendula extract and soy isoflavones. These ingredients are well-suited for most skin types and skin conditions. It should be noted many products that contain natural components such as essential oils are NOT suitable for post-microdermabrasion treatments because of their potency, pH or comedogenic activity. It is also an amazing body treatment. It can help reduce the appearance of stretch mark and allow for cellulite treatment creams to be absorbed at different levels. Your skin may look slightly flushed immediately after treatment but should return to normal in 10-30 minutes. Your skin will feel smoother even after the first treatment and will continue to improve with additional treatments. The are no known side effects. Microdermabrasion treatments using the NewApeel™ System are painless yet effective. The degree of effectiveness is controlled by a widely adjustable vacuum in conjunction with the varying coarseness of the DiamondTome™ Wands. Our skin care professional is trained to evaluate the effectiveness of the treatment while at the same time ensuring your comfort. Leading plastic surgeons and dermatologist regard the NewApeel™ system as being more gentle and affective than other exfoliating systems, even at higher settings. Results are gradual but highly effective. How long and how often are the treatments? The average treatment is 30 minutes. Treatments with a facial may take 60-90 minutes. During your sessions, we focus on your problem areas, but time may also be spent on other areas of concern. A course of 6 treatments - 2 to 3 weeks apart will help to improve the effects on fine lines, wrinkles, decrease large pores, blotchy skin. It may also help to lighten up age spots, hyperpigmentation and sun damaged skin. Follow up treatments are highly recommended to help maintain the skin's new, healthy look. How may I treat my skin after a microdermabrasion treatment? You may use your regular products. However, any products with glycolics or alpha-hydroxy acids may sting the treated skin for 4-5 days following the treatment. Will microdermabrasion help in treatment of acne? Acne clients benefit from microdermabrasion through removal of pore-blocking debris & plugs known as blackheads, allowing for free flow of oil safely to the surface, where it will not cause pimples. Another benefit of this deep cleansing of clogged pores - the increased blood flow which stimulates cell renewal and collagen production. What is microdermabrasion in a jar or manual microdermabrasion? "Manual" Microdermabrasion - using crystals in either a cream or gel base massaged onto the skin using hands or other tools to gently exfoliate the upper layers of the epidermis. "Manual" Microdermabrasion does NOT have the ability to regenerate collagen, elastin fibers or thicken epidermis. It is not a replacement for Microdermabrasion and does not deliver the same benefits. Clients using a cream or gel-based products at home, using the hands as a manipulator, can over-exfoliate and cause sensitivity issues, including higher likelihood of sunburn, hyper pigmentation & possible exacerbation of acneac skin. A little is good, more is better - is NOT necessarily true. What is Microdermabrasion or MicroExfoliation by NewApeel™ System and how it works? Microdermabrasion is a technique for removing topmost layer of skin leaving it supple and vibrant. The DimondTome wand removes this layer of skin by gently exfoliating the skin with natural diamond chips, while at the same time vacuuming the dead skin cells away in a sterile and controlled manner. The degree of abrasion is determined by choosing the coarseness level of different diamond crystal tips, vacuum level and gentle pressure applied by the esthetician with hand piece. Removing this outer layer of dead skin cells leaves a smother texture and promotes the growth of healthy new skin cells. Microdermabrasion or MicroExfoliation using a DimondTome wand is similar to particle (crystal) microdermabrasion and chemical peels in its results but without the adverse effects of loose particles, irritation and skin reaction. Unlike other exfoliation treatments, the NewApeel™ System uses no loose abrasives to contaminate you or the environment. MY Microdermabrasion has been selected as the 2016 Best Business of Fair Lawn. 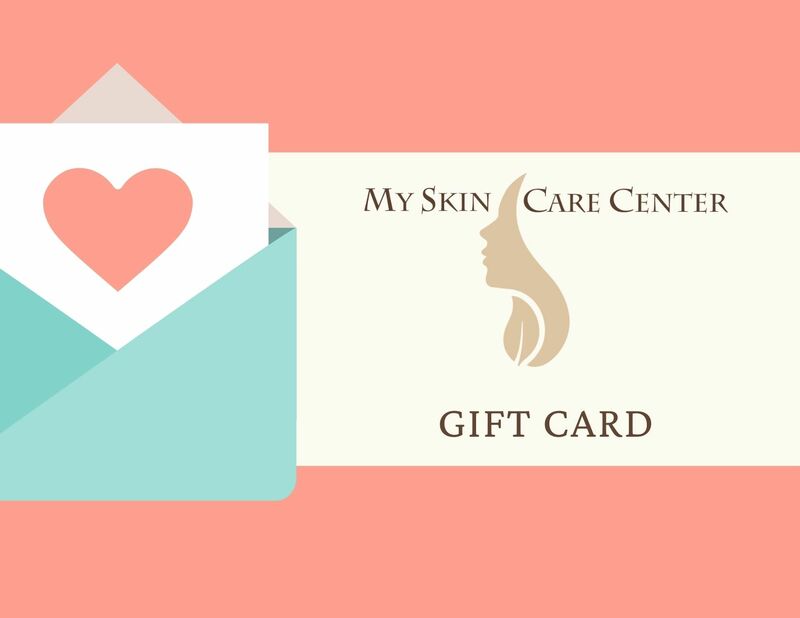 Visit our microdermabrasion nj office in West Orange, Essex county NJ and in Fair Lawn, Bergen county NJ for a FREE consultation and to share outstanding results that make MY Skin Care Center so special.